There are many software tools available to help students and researchers collate and manage citations and references. Here are a few recommendations from library staff. If after reading this documentation you require further assistance in enabling reference management software to work with library resources, please contact Information Services Staff. MENDELEY is a brand new research management tool for desktop & web, aiming to transform the way researchers manage reference papers. Regarded as an ‘itunes for research papers’, MENDELEY allows you to create and store your own personal library, or import an existing set of references and material. PDF’s can be viewed and annotated in the desktop interface. Bibliographies can automatically generated in word documents. Users also get access to an online version of their bibliographies. 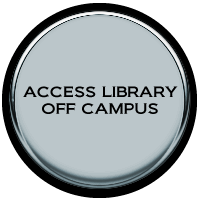 Citations can be quickly imported from the library’s major ejournal suppliers including EBSCO. MENDELEY is free to use, and available for Windows, Mac OS X and Linux. You can get help, step by step, by viewing MENDELEY Help guides. Zotero is a free and easy-to-use research tool that helps you collect, organize, and analyze research and lets you share it in a variety of ways. Zotero includes the best parts of older reference manager software — the ability to store author, title, and publication fields and to export that information as formatted references — and the best aspects of modern software and web applications, such as the ability to organize, tag, and search in advanced ways. Zotero interacts seamlessly with online resources: when it senses you are viewing a book, article, or other object on the web, it can automatically extract and save complete bibliographic references. An online user community allows you to discover and share citations with other users in your field. Plugins allow you to import and quote saved citations in Word and Open Office. Zotero is free to use, and available in two options, as Standalone to run with Chrome, Safari and FireFox and as a plugin for FireFox. You can get full support & help from by visiting Zotero Documentation.